This was the living room wall with the too-small mantel. 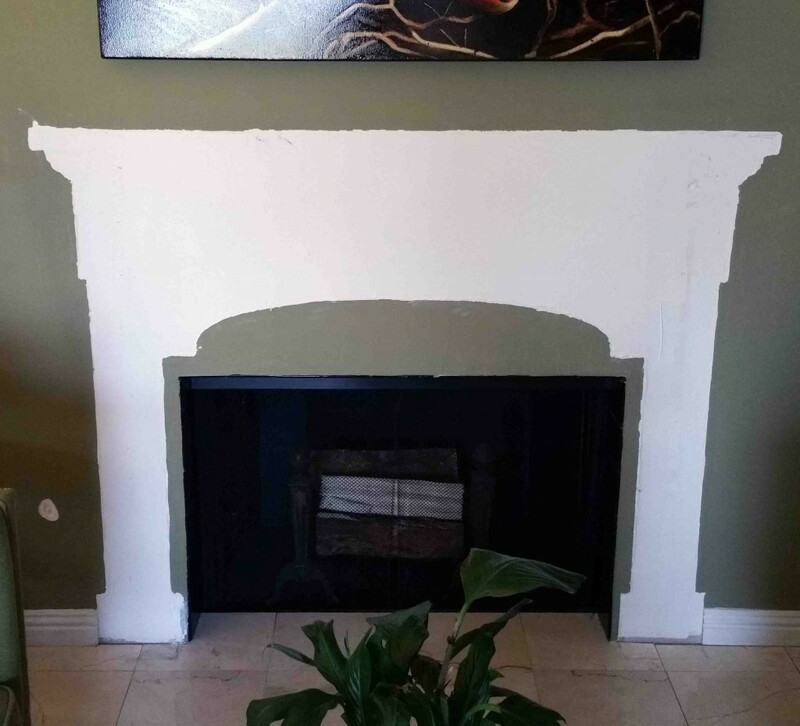 I think you can see why this fireplace isn’t up to code. 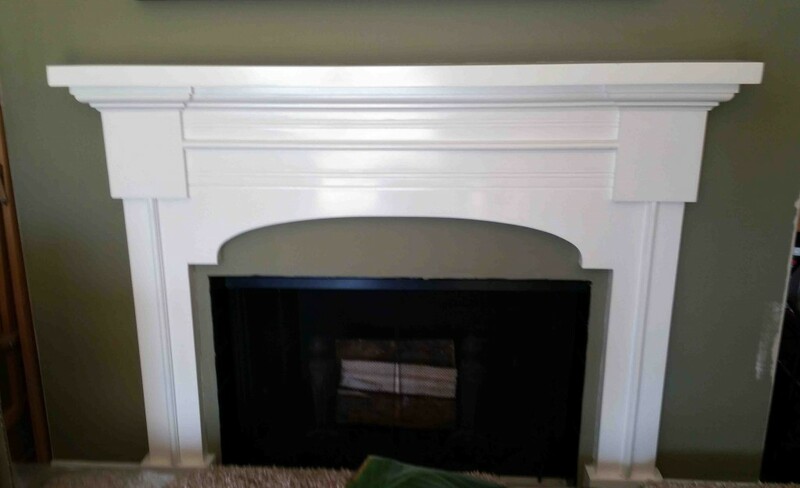 That mantel and surround could practically fit inside the fireplace. Even if the measurements were acceptable for L.A. standards, the danged thang is wrong for aesthetic reasons. I mean look at it! It just ain’t right, y’all. 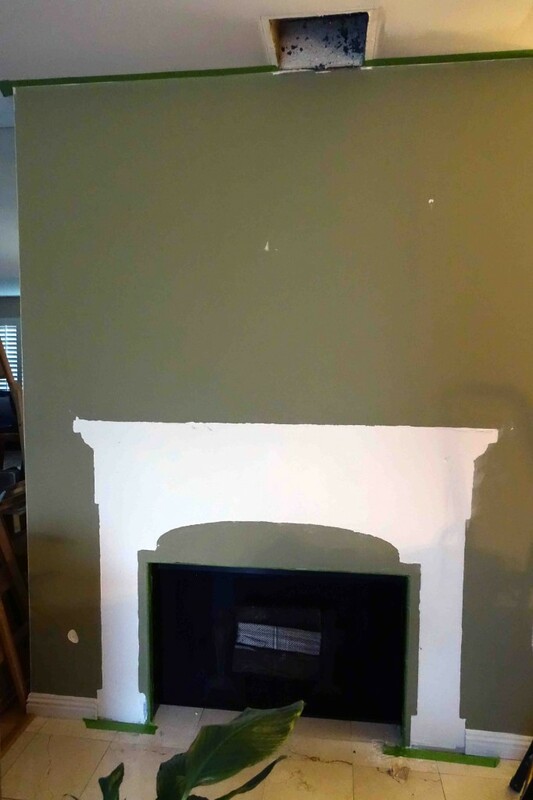 So I took the too-small mantel off the wall. And it left a ghost mantel in its stead. While removing old glue and caulk from the area, I started thinking about adding texture to the wall (instead of simply smoothing it out). That was where I last left you. Well now I’ve taped the surrounding surfaces and am ready to start the textured wall project in earnest. I think I’ve got a fair grip on what to do and a reasonable vision of what I’d like to achieve. Just one more trip to the hardware store for more joint compound, a wider mud knife (mine are all too small), a mud tray and a drywall hawk – then it’s down and dirty time. Isn’t it wacky that I know terms like “mud knife” and “drywall hawk?” Seems crazy to me.